Obama file 66 Socialist Leader-Use Obama Presidency to Create a "Permanent Progressive Majority"
Retired Massachusetts history professor Mark Solomon is co-leader of the US Communist Party breakaway organisation Committees of Correspondence for Democracy and Socialism (CCDS). He is the author of "The Cry for Unity: Communists and African Americans, 1917-1936". While never positively identified as a Communist Party USA member, Solomon was in the 1980s a leading member of the CPUSA front US Peace Council (USPC)-an affiliate of the Soviet controlled World Peace Council. At one point Solomon was USPC national chairman and was a Presidential Committee member of the World Peace Council-a position that would have brought him into regular with agents of the Communist Party of the Soviet Union International Department. There is no doubt CPUSA controlled the US Peace Council. In 1983/85 Solomon was one of five USPC co-chairs. Two others (Frank Rosen and Sarah Staggs) were Chicago CPUSA leaders, while another, Berkely mayor Gus Newport, was at least a party sympathiser, who later went on to join CCDS. Vice Chair Rob Prince was a Colorado communist, while executive director Mike Myerson was a CPUSA member who also left to join CCDS-or simply Committees of Correspondence (CoC) as it was known when originally formed in the early 90s. The USPC Executive Board included CPUSA members Pauline Rosen, James Jackson, Frank Chapman and at least sympathiser Alice Palmer. Two other board members went on to join CoC/CCDS-Otis Cunningham of Chicago and Barbara Lee of California. When Barbara Lee joined the CoC executive in 1992, she was a serving Democratic Party California state legislator. She was "outed" by leading US communist researcher Herb Romerstein and cut all (open) ties to CoC. 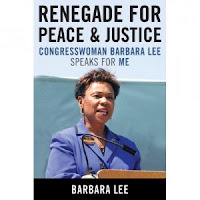 Now a California Democratic Party Congresswoman, Lee is co-chair of the more than 80 strong grouping of leftist Democrats, the Congressional Progressive Caucus. She also appears to have mended her fences with CPUSA, attending a party function in California in December 2006. Lee is of course a major Obama supporter who broke ranks with her Hilary supporting fellow California Democrats to endorse the "Senator from Illinois" in December 2007. Barack Obama was Alice Palmer's chief of staff in mid 90s during her unsuccessful bid for congress. Both joined the CoC/DSA front New Party at the time, but Obama went on to break with Palmer and successfully run for her former Illinois State Senate seat. Clearly some old USPC types know Obama personally, several CCDS types are also personally close to Obama, so it is probable that Solomon has some insight into Obama's history and political outlook. Solomon has penned an article which has been re-produced on the Progressives for Obama website-which is coincidentally moderated by CCDS leader, former New Party activist and long time Obama colleague and supporter Carl Davidsaon. In the article Solomon urges his comrades to stay the course with Obama, to build a left wing movement to keep the pressure on the new president and to work for a permanent "progressive majority" in the USA. Solomon seems in little doubt that Obama is on the side of the "progressives". His article is effectively a blueprint for using Obama's presidency as an opening to move America permanently to the left. Solomon Obama’s ‘Center-Left’ Realignment vs. the Right, and our role from below. The election of Barack Obama was historic in innumerable ways. It was a crucial and powerful blow against right-wing reaction, portending a center-left realignment of the nation’s politics...Obama’s election has opened an emphatic path to progressive change, a path that can lead to deeper, more transforming change. The motor for thoroughgoing progress is the multiracial working class in alliance with a vast array of social forces that worked for Obama’s election — youth, African Americans, Latinos and other people of color, women and progressive clusters of business and professions. The Obama victory reflects changing demographics in every region of the country that is becoming more racially and ethnically diverse. The victory confirms an emerging progressive majority driven largely by a re-energized labor movement — a majority that must become more organized and able to connect the various issues confronting the country into a coherent political force for change. That is decisive for pressing the Obama administration in a more progressive direction. That is the profound challenge before all working people and their allies. Solomon The most significant element for the present and future in Obama’s ascension to the presidency is the gathering mass movement that put him in the White House. That movement represents the promise of a permanent progressive majority. It needs to be nurtured, deepened and strengthened to assure a future of an irreversible path to progress. New Zeal Note the phrases "permanent progressive majority" and "irreversible path to progress". This is serious stuff. Solomon does not see the Obama "opportunity" as just another swing of the political pendulum to be reversed in four or eight years time. Solomon is exhorting his comrades to work for "permanent" change. If Solomon and his comrades get their way, there will be no going back. Solomon Obama is also no stranger to the symbols and substance of a progressive outlook. As an undergraduate at Occidental College and Columbia University he became involved in the movement to boycott apartheid South Africa. New Zeal Interesting that Solomon should mention the Occidental College campaign. The movement referred to was the student wing of Tom Hayden's socialist Campaign for Economic Democracy, which in turn was linked to the radical Cuban/Soviet connected Institute for Policy Studies (IPS). Tom Hayden co-founded Progressives for Obama with Carl Davidson and IPS Trustee Barbara Ehrenreich and IPS scholar Bill Fletcher jnr in early 2008. New Zeal It all comes back to Alinsky-who incidentally also used to lecture at the IPS back in the '60s. Solomon He probably is open to compromises with Russia regarding Bush’s push for deployment of an anti- missile system in Central and Eastern Europe. With China, the Obama administration will rhetorically take a hard line on human rights issues; it will complain about the alleged low valuation of Chinese currency, but will not undermine the massive dependence of the collapsing US financial system upon Chinese investment in treasury bonds. He has already advocated the softening (but not the removal) of the repugnant blockade of Cuba. That is a wedge for a coalition of agricultural interests, manufacturers and peace activists to press for a total lifting of the blockade. New Zeal This will please Solomon's comrades many of who still have a soft spot for Russia and now look to China as the new leader of the socialist world. Look to a "normalisation" of relations with Cuba not far down the track. Solomon Obama’s outstretched hand to the Muslim world represents a promising departure from previous US policies. An energized peace movement will need to press its firm opposition to the continuing Israeli occupation of Palestinian lands while calling for and an end to US weapons to Israel as basic requirements in addressing that core issue that lies at the heart of regional tensions. New Zeal This may not please those who suffer under the illusion that Obama is pro-Israel, but it is music to the ears of the US pro-Palestinian left. Solomon There can be no illusion that Obama, without major counter pressures, would depart from the untouchable requirements of the intersecting national security and warfare states, the essential institutions of US imperialism. Given the unchallenged and deeply rooted power of the warfare state and its national security component, he will continue to call for ‘rebuilding our military’ and advocate selective interventions. At this juncture, it is not possible to occupy White House without obeisance to those institutions. New Zeal Solomon is making it clear that Obama will come under tremendous pressure to conform to the status quo. It is therefore imperative that the left must build a mass movement to force Obama to stay true to his socialist ideals. Solomon His willingness to review free trade policies to assure decent labor and environmental standards has earned him crucial support from the union moment. Obama acknowledges the crisis of climate change, advocating large-scale government programs to reduce the use of fossil fuels...By combining urgent environmental and economic issues, Obama has opened a door to a grand alliance of environmental and labor activists. New Zeal Otherwise known as the "red/green" alliance. Obama has proposed an $825 billion spending program...Leading liberal and progressive economists have stated that at least two trillion dollars in government spending is needed to make a significant dent in unemployment... Despite his present statements, he will have to scale back wasteful and unproductive military spending. New Zeal Cutting defence spending-that is a major part of the bail-out rationale. Use the "necessity" of massive new social spending as an excuse to slash the defence budget. Remember this is a former leader of the Soviet controlled World Peace Council-talking here. Solomon Many progressives were disappointed with Obama’s cabinet appointments...Yet, that disappointment fails to take into account the fact that the Bush neo-conservative cabal is gone; that Obama will he a hands-on President who will guide the policies of his administration...In sum, the center has shifted towards the left. The responsibility of a unified progressive force is to press that center even further leftward as mounting layoffs and spreading economic paralysis worsens. New Zeal Keep up the pressure comrades. Obama is the boss. He is on our side. Solomon Critical to a positive outcome to the battle is the forging of an effective grass roots movement. Of great significance is the unprecedented founding of ‘Organizing for America’ by the Obama organization. Building on a list of over 13 million names and the experiences of tens of thousands of local organizers, Obama clearly intends to mobilize that huge constituency to press for adoption of his program. That is critically important. But that program falls short of a solidly progressive agenda and compels the left to engage with ‘Organizing for Obama’ to constructively work for deeper change. New Zeal This very important. "Organizing for America" will become an Obama power base independent of the Democratic party. It will be used to help elect more Obama supporters to public office and scare less enthusiastic backers into line. In socialist-speak "engage with" means to "infiltrate". Solomon is advising the left to take over "Organizing for America" and use it as an instrument for socialist change. Solomon A united left pole of influence over the Obama movement can oblige it to press for a larger and more working class-oriented stimulus program; the left needs to press for a end to the war in Afghanistan and the occupation of Iraq; it needs to call for an inclusive ‘Medicare for All’ national health plan, it needs to press Obama to hold firm in support of the Employee Free Choice Act; it must insist on dealing with climate change as a priority; it should press for no loopholes in the ban on torture and prosecution of the crimes of the Bush administration; it needs to vigorously pursue justice for the Palestinians and Palestinian-Israeli peace, it must call for an end to the persecution of immigrants by meeting their just demands with a fair and reliable road to permanent status and citizenship. As the ravages of the Depression spread...the left also has an obligation to advance deeper and more transforming ideas such as democratic, public ownership of banks and financial institutions as the way to end the destructive practices of financialized capitalism. It can advance the concept of public ownership of energy as the assured way to end the stranglehold of fossil fuels and launch a new era of clean energy. New Zeal The left wing wish-list. 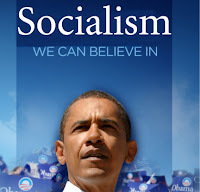 This is the socialist's agenda for the Obama presidency. The election of Barack Obama is indeed an historic watershed. It holds out the promise of a major realignment of the nation’s politics. For the first time in memory, this presidency actually is calling upon a gathering grass roots movement to actively ‘make change from the bottom up.’ The dangers of the moment are dire. But the opportunities are enormous — and compelling. Let us seize this moment to finally end the reign of the right wing and set the country solidly on the road to a progressive, democratic, just and peaceful future. New Zeal Onward, comrades, onward!